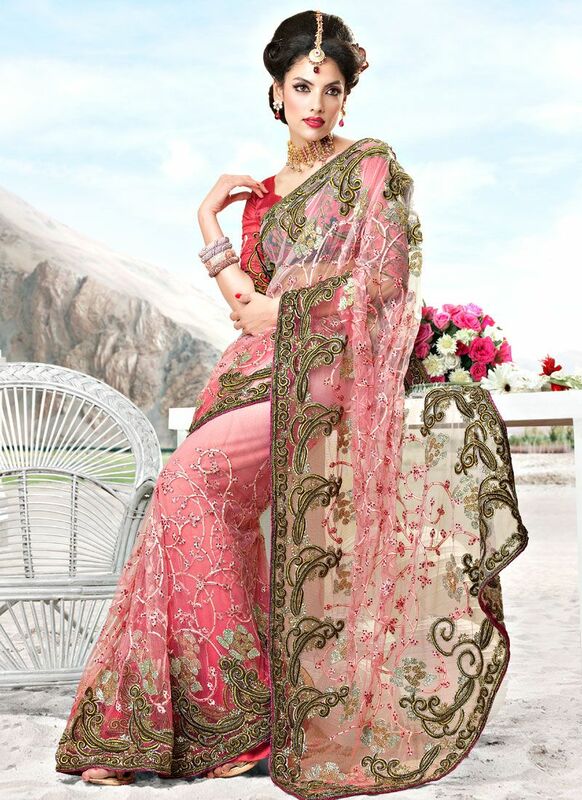 Look demure yet ravishing wearing this breathtaking coral pink shaded net saree. Saree is beautifully accentuated with resham embroidered floral mixed decorative patterns further enhanced with sequins and zari. Similar embellished border part adds to the look. Paired with a matching blouse.